The most spiritually productive harvest field anywhere is among the children. Statistics show that the great majority of people who accept Christ do so between the ages of four and fourteen - when they are children. By partnering with Child Evangelism Fellowship® of Central Alabama, you are a valuable harvester of the field. Building a team that financially supports the ministry connects people with a primary purpose for redemption, to be the expression of Christ to the nations. CEF® of Central Alabama is a faith-supported ministry that brings together those whom God calls to go to children and those whom God calls to give generously of what they have. Your payments are processed and distributed safely, and you will receive a tax-deductible receipt regularly when your gift is received. Many financial supporters choose to give a monthly donation of any amount that God leads them to give. When these gifts are pledged regularly, it allows the ministry to set a budget and maintain growth throughout the year. While spontaneous giving is a blessing, when some are called to give regularly, the ministry is sustained for long-term work. When you have prayerfully considered joining the support team, and settled on an amount and how often you will give, you are ready to submit your first donation. Your payments are processed and distributed safely, and you will receive a tax-deductible receipt regularly when your gift is received. Have you given thought to how you can maximize your God-given resources for both your family and for reaching children in Central Alabama with the Gospel? No matter the amount, you can rest assured knowing that gifts left to Child Evangelism Fellowship® will be intentionally used to grow the ministry to reach more children. As you make your estate plans, or perhaps you already have, would you consider setting aside a portion to be used for reaching children? If you have already chosen to do so, please be sure that you specify "Child Evangelism Fellowship of Central Alabama," not just "CEF" or "Child Evangelism Fellowship." This will make the process far simpler, and your gift will leave a legacy of thousands of children being reached with the Gospel in the local area. A church can make a great and lasting impact on children, families, and communities by partnering with the ministry of Child Evangelism Fellowship® of Central Alabama. Whether your church chooses to support CEF through a missions budget or through a Good News Club® Partnership, you are a valuable part of the work God is doing in our communities. Scripture is filled with many examples of the body of Christ supporting the efforts of missionaries near and far. If God has blessed you as a church with the resources to support missions, we ask you to prayerfully consider including Child Evangelism Fellowship® of Central Alabama in your missions budget. The ministry benefits greatly by regular pledged giving, in that it allows us to plan ahead for the growth of ministry. Your church can make a great impact through giving by maintaining the growth of the ministry, funding new projects and personnel, as well as sponsoring ministry with churches and communities that may not have access otherwise. We are ready and eager to help churches enter the schools, fully equipped to share the Gospel and teach the Bible to school children and extend the biblical influence to families. CEF® offers church partners a strategic plan, materials, training, support and mentoring. Through a God-centered partnership between the local church and CEF®, children’s lives change and churches grow. Churches come to the partnership with the most important ingredient, God’s people. A team from your church will bring the Gospel of Jesus Christ to the school children. CEF® offers specialized training for this endeavor. CEF® takes care of the major logistics of getting a club started: contacting the school, providing liability insurance and conducting background checks. If God has blessed you to be a business owner, you can use those God-given resources to make an impact on the community by making charitable donations to CEF® of Central Alabama. "Donating to charities can help change your business and work culture. It can also have a dramatic impact on others." (www.inc.com) There are many benefits to making a charitable donation to CEF® of Central Alabama. 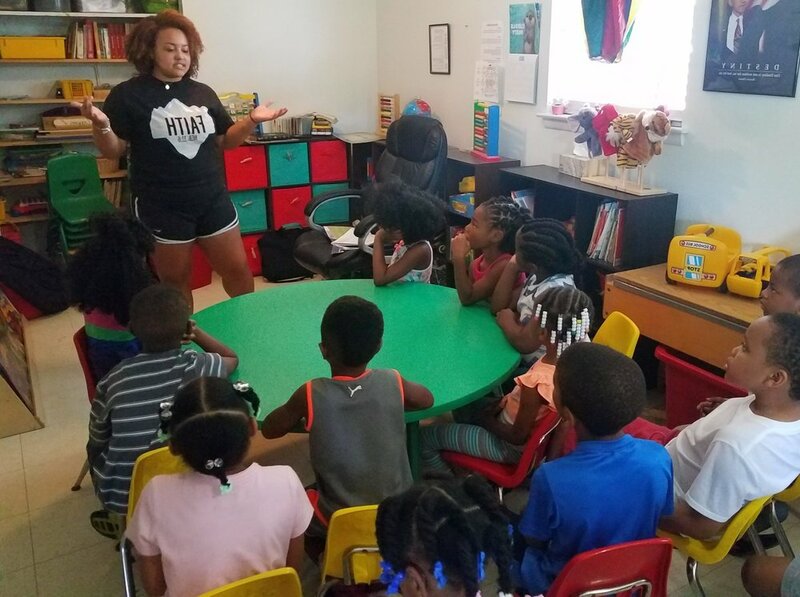 Aside from using your God-given resources to further the work he is doing for the children of Central Alabama who need the Gospel of Jesus Christ, your business can also benefit from tax deductions, employee participation, service hours, community involvement, etc. Child Evangelism Fellowship® is a 501(c)(3) non-profit organization. Contributions to CEF® are tax-deductible as allowed by law. CEF® of Central Alabama has hosted various successful fundraising and community events for many years. In addition to our Annual Banquet, a formal dinner event at Trinity Presbyterian Church with such speakers as Alex Kendrick, Josh McDowell, George Barna, Jerry Leachman, and others, we have also hosted past events such as a Golf Tournament, the Good News 5k and 1 Mile Color Party, the Good News Comedy Night, and the Setting Our Sights on Summer Clay Shoot. We offer various sponsorship levels at each of these events that offer many benefits, such as marketing opportunities, give-away events, and charitable donations.